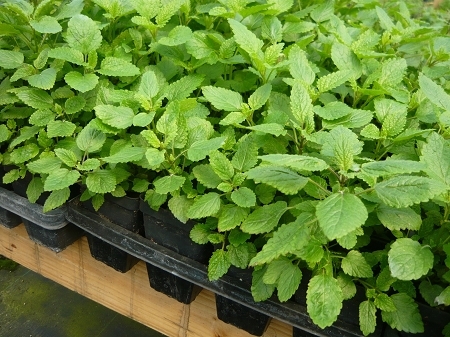 Lemon Balm - (melissa officinalis) - Sweet Lemon scented leaves commonly used in salads, fruit drinks and teas. A must have in the herb garden. Repels mosquitos and other insects. Easy to grow perennial zones 5-9. Live starter plant in 3 inch container.